Four community groups say the Ministry of the Environment and Climate Change knows its wind turbine noise regulations were inadequate, so they changed them. Why now, are the five newest projects not subject to stricter regulation? Hundreds of people will be exposed to noise emissions from turbines that will likely be non-compliant as soon as they begin operating. TORONTO, Jan. 25, 2018 /CNW/ – A judicial review application has been filed against the Ministry of the Environment and Climate Change (“MOECC”) in the Divisional Court in Toronto. The application alleges Ontario regulations and directives limit the amount of noise any residence in the province should have to tolerate from a wind project. Modelling is used to predict these impacts. The MOECC has admitted previous guidelines resulted in underestimates of the noise at nearby homes. However, without any evidence that this was necessary, the MOECC has allowed companies promoting at least five large-scale wind projects to ignore new government guidelines. The result is hundreds of Ontario residents near these planned turbines could be living next to turbines that produce noise out of compliance with government regulations. If these projects, located in various parts of Ontario, were required to comply with the new guidelines, it is estimated up to three-quarters of these turbines would have to be relocated or removed. “The government knows the modeling done by wind companies is wrong. However, the government now doesn’t require them to follow the proper process. It’s not surprising people from across Ontario are joining together to vigorously oppose this,” said Eric Gillespie, legal counsel for the court applicant. The wind power industry continues its refrain that wind power is cheap and getting cheaper … meanwhile, real-world stats tell a different story. Energy commentator Parker Gallant has done analysis on two December days in Ontario last week, and shown that because wind power is produced out of phase with demand (this is a fact), it contributes to power surplus and waste. Meanwhile, the surplus of wind meant other sources of power — clean, emissions-free hydro and nuclear — were constrained, too. At this moment, the Ministry of the Environment and Climate Change (MOECC) is considering approvals for five more wind power projects in Ontario. Intermittent, undependable, expensive power that isn’t needed, and will certainly add to costs for Ontario’s electricity consumers. Read Parker Gallant’s post here. The Association to Protect Amherst Island has filed a formal letter of Appeal to the Ontario Minister of the Environment and Climate Change Chris Ballard, reminding him that it is within his power (contrary to the wind power developer assertions) to review the current situation with regard to the Windlectric project now under construction, and revoke its approval. This is an appeal on “matters other than law”. Accordingly, you are not bound by precedent nor by the efforts of counsel for the Approval Holder, Windlectric Inc., and counsel for the Government to limit your authority to consideration of errors or to the narrow test required at the ERT to demonstrate “serious harm to human health; or serious and irreversible harm to plant life, animal life or the natural environment”. You are wrongfully advised by counsel for the opposing parties that even Government policy and political risk are irrelevant to this matter and that you don’t even have the authority to request the Director to require a modification to the project to reflect critical changes or to impose mitigation measures which Tribunal members accepted as essential. Please do not be guided by lawyers’ efforts to limit your authority. Your mandate is much broader than the restrictive views expressed by opposing counsel in the responses to APAI’s appeal. You are respectfully requested to do what is in the public interest: to revoke approval of the Amherst Island Wind Project. You have a real choice. Enforce and respect commitments made by the Approval Holder during the ERT to mitigate potential negative impacts on the environment. The ERT decision specifically states that the Tribunal Members considered commitments made by the Approval Holder that were not included in the REA conditions when coming to their decision. However, Mr. Paul Nieweglowski, Assistant Deputy Minister MOECC, advised that the MOECC has no mandate to enforce commitments not included in the REA conditions. The project under construction is now radically different from the project considered by the ERT and in layman’s terms appears as a classic “bait and switch” described more fully in our earlier brief. 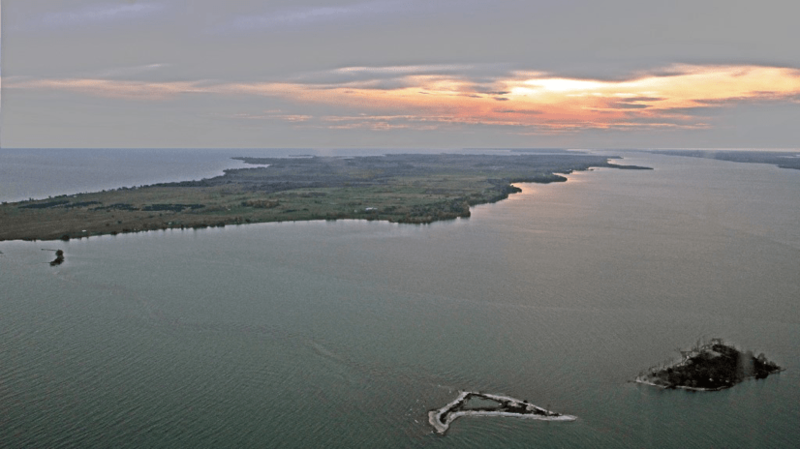 Safeguard Amherst Island residents’ access to clean water. All Island residents rely on wells. The potential adverse impact of the construction of 26 turbines on groundwater on a vulnerable and isolated Island and the failure of MOECC to heed the initial advice of its own expert hydrologist to implement a comprehensive groundwater monitoring requires your intervention. In the REA conditions, the MOECC required no studies and no monitoring. MOECC advised that no geotechnical studies have been conducted. Be proactive and protect human health by consistent application of noise regulations. If the Amherst Island Wind Project were proposed today the noise regulations implemented in 2016 would require significant changes to the project. A minimum of ten homes would be subject to noise exceeding the new standards. Why should Amherst Island residents be subjected to noise that MOECC acknowledges exceeds today’s safety standards? 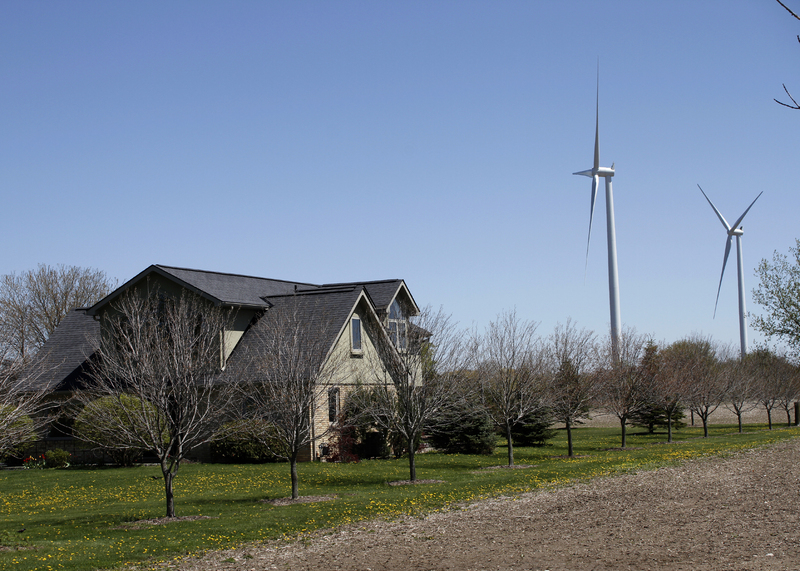 You have an opportunity to take preventative action especially important when it has become widely known that MOECC has not investigated thousands of noise complaints related to wind turbines throughout rural Ontario. Save $500 million by inviting the Approval Holder to terminate its FIT contract for the unneeded 75 MW Amherst Island project across the channel from the idle 2000 MW Lennox Generating Station paid monthly curtailment fees, the soon to be idle 800 MW Napanee Gas Plant to be paid over $13 million per month to NOT generate electricity, and 115 MW Northland Power whose offer of power at 5.6 cents per kilowatt was not accepted in contrast to the 14 cents per kilowatt to be paid on Amherst Island. Address the many risks described in our submission to your predecessor, the Honourable Glen Murray, which forms part of this brief: construction of a cement plant adjacent to the Island’s only school (something that would not be allowed anywhere else in Ontario), impact of construction on lands considered historic by First Nations, conflict of barge traffic with the Island ferry in winter, impact on the Owl Capital of North America and an Important Bird Area, the decimation of the bat population, loss of grazing land for sheep farmers and consequent potential end of the farm, impact on health, damage to the rich cultural and natural heritage of the Island, and the high risk to public safety and the environment. Read the full letter on the APAI website here. Bell-Media national affairs specialist Evan Solomon interviewed two representatives of Prince Edward County this week on the White Pines wind power plant under construction by German power developer WPD. Owner of the renowned Norman Hardie winery Norm Hardie and County Coalition for Safe Appropriate Green Energy member John Hirsch spoke with Solomon about the impacts of the wind power plant on the environment, wildlife, the local economy, and possible effects on human health. Is this just NIMBY? Solomon asked at one point. NO! the two men replied, and explained that The County is a destination for eco-tourists because of the huge numbers of migratory birds. The wind power developers awarded contracts in 2016 are now gradually filing for Renewable Energy Approval, in spite of the fact that Ontario has a surplus of power, and wind power is produced out of phase with demand to the extent it is estimate 70 percent of it is wasted. The Otter Creek project (50 megawatts, Chatham-Kent, $218 million over 20 years) was just on the EBR for comment, and now the Romney Wind Energy Centre (60 megawatts, Chatham-Kent, $261 million over 20 years) has filed documents that are being screened for completeness. Ontario does not need this new power. Ontarians do not need more costs added to their electricity bills. Ontario has shown it is unable — or unwilling — to deal with thousands of reports of excessive noise from projects already operating. These contracts should be cancelled, not granted Renewable Energy Approval. The Canadian Wind Energy Association or CanWEA, the wind power trade association/lobbyist/influencer has a document on community engagement for its developer members in which it advises, people have a right to object to your project. Germany-based power developer WPD seems to have missed that page. 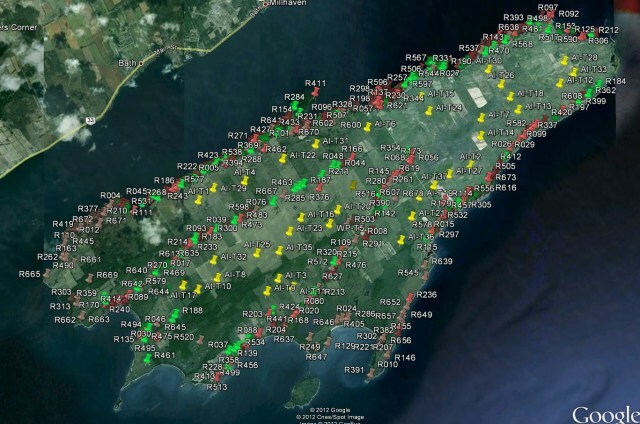 Not only has the company faced the fact the community in Prince Edward County by and large does not want a huge wind power development as evidenced by a Not A Willing Host designation and numerous resolutions at council, but it has also seen its project decline from 29 turbines to 27 then virtually razed of 18 more by the Environmental Review Tribunal. Undaunted in its quest for revenue from its rich contract with the Ontario government, the company now threatens to begin construction on the remaining nine turbines on Sunday, September 10. 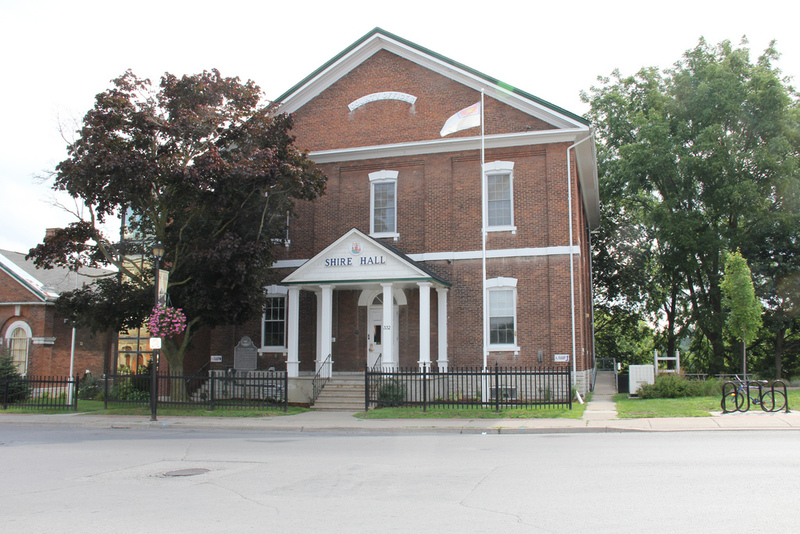 And in a move tantamount to walking into a room and putting a gun on the table, WPD sent a letter to Prince Edward County Council threatening legal action and substantial costs should the municipal government try to obstruct its project. Mayor Robert Quaiff has called an emergency meeting at Shire Hall in Picton on Thursday at 1 PM, and Councillor Steve Ferguson is hosting a Town Hall in Milford, next week. The Tribunal’s decision of last April to remove 18 turbines from the White Pines wind project — two thirds of the total Project — seems not to have deterred wpd in the slightest. On the last day of July wpd served Notice to the County that it intends to start construction on the 9 remaining turbines in the project as of Sunday, September 10th. In response to this Notice, South Marysburgh Councillor Steve Ferguson is calling a town hall meeting in Milford on September 5th to provide information about the wind project and to answer questions about the project’s implications to Milford residents and the surrounding area. Mayor Robert Quaiff and other Council members as well as municipal staff, will be on hand to answer questions. While wpd blusters about others’ bad faith, its own actions tell a different story. The company made no effort to comply with the REA condition to set up a Community Liaison Committee within three months of receiving its REA and has made no effort in the two years since receiving the approval. To make things worse, wpd has wrapped itself in a cloak of silence. All pretense of public consultation has been dropped. wpd now declines to respond to any questions from members of the public. While everyone realizes there must be major repercussions after such a significant down-sizing, everything is now handled by wpd out of the public eye. This has only fuelled speculation about the status of wpd’s FIT (Feed-In-Tariff) contract, the OEB approval for leave to construct a (now non-existent) 28-kilometre, 69-kv transmission line, the change from a transmission to a distribution project and all that involves, Hydro One’s potential involvement and rumours that wpd may be opting to hang power lines above-ground on poles in direct contradiction to their REA commitment to bury the lines (with two minor exceptions where overhead lines were required). As September 10th draws closer, members of the public of Prince Edward County are looking for answers. Applications for approval of new, huge wind power projects now being filed with the Ontario Ministry of the Environment and Climate should be denied, says Wind Concerns Ontario. “There have been so many problems and mistakes with the government’s wind power program that not a single new project should be approved,” says Wind Concerns’ president Jane Wilson. Recently, problems with well water have been revealed in the Chatham-Kent area, where vibrations from turbine construction and operation have disturbed the shale bedrock resulting in toxic heavy metals such as arsenic contaminating water, making it undrinkable. On August 21st, Chatham-Kent council voted to demand a halt to construction of a new wind power project. 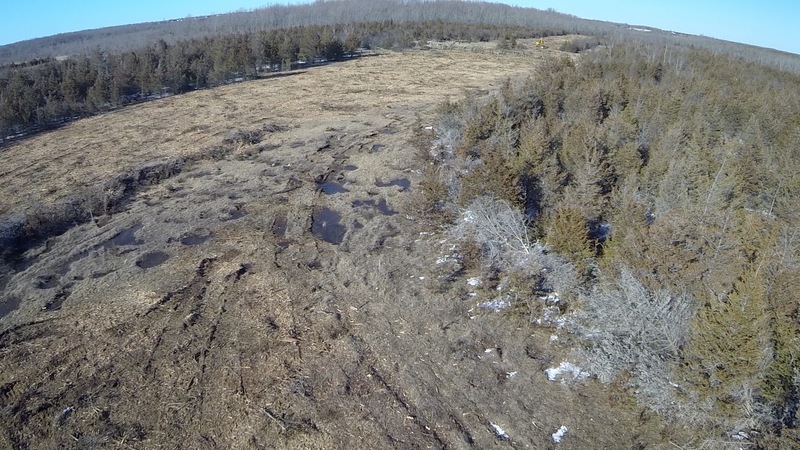 The Otter Creek project by French power developer Boralex is proposed to be built on the same geologic formation and there are questions as to whether it could also create water problems. Turbine noise is an ongoing concern: Wind Concerns received MOECC documents earlier this year showing that the ministry has had thousands of complaints about excessive noise and vibration from operating wind turbines, but has not resolved any of the problems. Complaints about noise emissions from the turbines continue, often beginning as soon as the power projects begin operation. Citizens affected report sleep disturbance for weeks at a time, and other health problems such as headaches, dizziness, and cardiovascular symptoms. “The Ministry doesn’t seem to be learning anything from reports of problems created by wind power projects,” says Wilson. “Their own field officers have documented issues with existing noise regulations and observed health effects, and now we have people with formerly pure well water turning black, but the MOECC continues to receive and approve these huge power projects based on the same regulations that have proven to be flawed. Wind Concerns filed a document recommending the Otter Creek project, now in review, not be approved. The turbines proposed have never been used and there are no actual noise output measurements for them, WCO says of the project which will operate immediately north of Wallaceburg. WCO says that projects not built yet should also be halted, such as the North Kent II, where water problems persist, and Amherst Island, to name two, where a tiny island community will be exposed to noise emissions from 26 50-storey high wind turbines and endangered wildlife will be affected. The damage to the environment and to human health is inexcusable, WCO says, especially when the power projects are not needed. According to a report by the Council for Clean & Reliable Energy, 70 percent of Ontario’s wind power is wasted as it is produced out of phase with demand, and Ontario has a surplus of electrical power. How did a dangerous wind farm idea get so far? The approval for proposed Fairview Wind power project has finally been revoked by the Environmental review Tribunal, on the basis of serious harm to human health and risk to aviation safety — the project was close to two airports. Our question is, HOW did this power project get as far as it did? How could Transport Canada not block this? Why should taxpayers have had to pay out hundreds of thousands of dollars to protect safety and the environment from their own Ontario Ministry of the ENVIRONMENT and Climate Change? 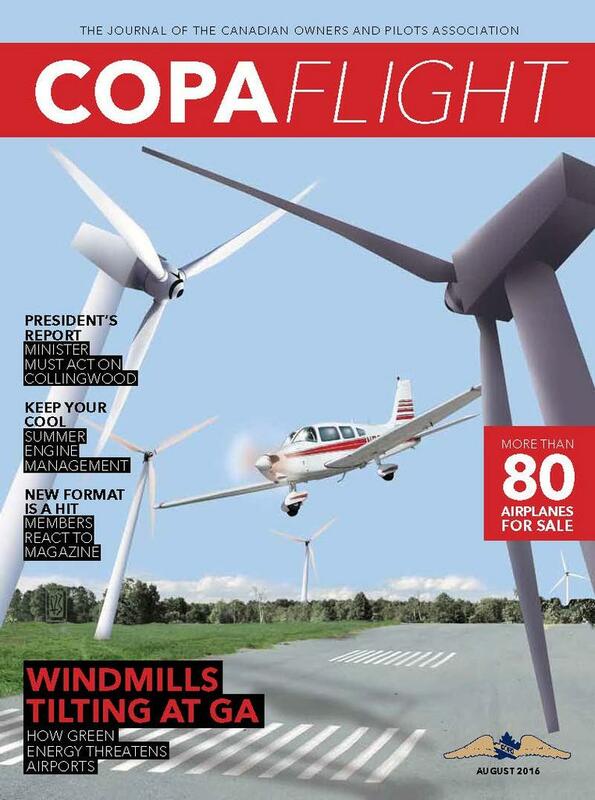 In the original decision issued last fall, the Environmental Review Tribunal accepted the appellants’ aviation expert testimony, which included a rejection of any “mitigation” proposed by the wind power developer, wpd. For these reasons, Tribunal accepts that the margin for error posed by introducing the proposed wind turbines at their proposed locations would be inadequate to either prevent collision with a wind turbine, or prevent a crash due to wind turbine-induced turbulence. The Tribunal finds that Mr. Cormier has provided informed criticisms of the proposed mitigation measures that were not contradicted by the Director’s or Approval Holder’s experts, and, therefore, the Tribunal accepts Mr. Cormier’s evidence in this regard. As such, the Tribunal finds that there is insufficient evidence that mitigation measures will be effective. The reason for the delay in revocation of the approval was because a secondary issue was harm to the Little Brown Bat and the Tribunal felt it necessary —despite the clear risk to human health — to review and evaluate the mitigation procedures proposed. The Tribunal in its decision released this week, did find that the mitigation measures were acceptable but in any event, the risk to human health was sufficient to cancel the approval. In the October decision, the Tribunal noted that documents from the power developer referred to Transport Canada in an apparent claim that that government agency was OK with proposals for new approaches for pilots to avoid the turbines. However, the Tribunal noted that the Transport Canada letter was “carefully worded” and did not, in effect, provide approval for the power developer’s notion of how to avoid plane crashes. At “the end of the day” as lawyers say, we are left scratching our head as to how such a proposal could get so far when common sense would seem to dictate otherwise, and why our own government could be so blinded by its “green” ideology that it is more than willing to defend the proposal? Wherever Environment Minister Glen Murray is this morning, we’re sure this isn’t what he’s seeing in his home. The video is of shadow flicker experienced in a home in Ashfield-Colborne-Wawanosh, Ontario, produced by a wind turbine in the K2 wind power project. The family is just one of several complaining of shadow flicker or strobe effect produced by nearby wind turbines. It is disturbing and annoying, and can be a safety factor for anyone operating heavy machinery while it’s going on. Fixing it is a simple matter: but the company won’t and despite their mandate of protecting the public, the Ministry of the Environment and Climate Change won’t insist that they do. The family has sent letters to Minister Glen Murray*, the Spills Action Line, the K2 power developer, and Owen Sound District Office director Rick Chappell — no action. *Minister Murray resigned yesterday evening, July 30. Ontario’s plan to double its wind energy capacity will make a bad situation worse, according to a report published by the Council for Clean and Reliable Energy. There is already so much intermittent wind [power] generation in the Great Lakes Region that demand is over-supplied, prices are collapsing and generation must be curtailed, said the report released in June by the council, a non-profit organization formed by volunteers from universities, public sector business leaders, and labour. The report’s author Marc Brouillette, a principal consultant at Strategic Policy Economics, calls on the province to reconsider its commitment to ongoing deployment of wind resources. “Analysis shows that wind intermittency makes it an unproductive and expensive choice that doesn’t meet customers’ needs and also undermines the price of electricity exports,” says the report titled Ontario’s High-Cost Millstone. The opportunity to pull back from the plan to expend wind energy comes this summer when Ontario updates its long-term energy plan. A key part of the problem with wind energy, according to the report, is that it is misaligned with demand because of its intermittent nature. Ontario’s energy use is highest in the winter and summer and lowest in spring and late fall. “This is almost a mirror image of wind production patterns: wind is highest in the spring and fall, when electricity needs are lowest, and lowest in summer when electricity demand peaks,” the report notes. The result is that two-thirds of wind [power] generation is surplus to demand and must be wasted or dissipated either through forced curtailment of hydro and nuclear generation, or by increased exports to Quebec and the United States, generally at low prices. … Jane Wilson, president of Wind Concerns Ontario, a coalition of citizens’ groups critical of Ontario’s wind energy program, said the report underscores what two Auditors General told the McGuinty and Wynne governments — they should not have launched the program without any cost-benefit analysis. “Now, Ontarians are paying four times as much for wind power which is very invasive and has had a huge impact on rural communities for very little benefit. The need for more fossil fuel natural gas to back it up means it is not even achieving the simple environmental goals. “For people living with the noise and vibration of the huge turbines interfering with their lives, this is outrageous,” Wilson said. No new wind power approvals should be granted, and development of projects not yet in operation should be halted, she said. Brandy Gianetta, Ontario regional director for the Canadian Wind Energy Association, said the report fails to fully recognize that wind energy is making a significant contribution to Ontario’s electricity supply needs today and this contribution will only grow in future years. CanWEA contends that Ontario should be securing the lowest [cost] non-greenhouse gas emitting electricity to fill the gap and ensure it can meet its climate goals. “Wind energy, which is now the least-cost option for new electricity generation available in Ontario, is the best available resource to meet both of those needs, Gianetta said in an email. FACT CHECK: wind power contributes about 6% of Ontario’s electricity supply, at four times the cost of other power sources; wind power is not the “lowest-cost” option—the turbines are cheap to build but there are many other costs associated with wind power and its intermittency; wind power cannot replace hydro and nuclear—the fact is, coal was replaced by nuclear and natural gas, a fossil-fuel-based power source. Ms Gianetta did not trot out the usual wind industry myth of massive job creation in Ontario because that has proven not to be true, here as in other jurisdictions. Jobs are short-term and related to construction activity, in the main. Other costs associated with wind power such as property value loss, effects on tourism, and human costs in terms of effects on health, have never been calculated.